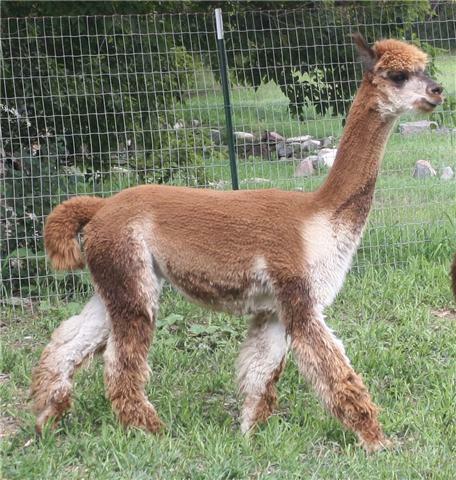 Pajolo Brandywine is a medium size alpaca with great conformation and a gentle disposition. She has proven to be an outstanding mother with easy births and lots of milk. Brandy passes her sweet nature to her babies. Rae-Lynn is a very nice girl, she is curious and a delight to be around. She is dark fawn with great coverage, dense with a nice crimp style. She is a mellow girl, very easy to handle and loves to give kisses. Rae-Lynn walks on a lead like a dream and loves to have her back scratched! 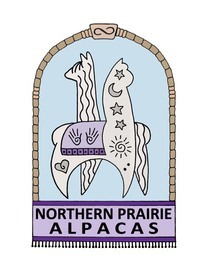 This friendly alpaca would be a wonderful foundation female for a new farm getting started. Rae-Lynn is an outstanding mom who produces lots of milk, she is attentive to her cria while maintaining her "laid back" attitude. The best part is Rae-Lynn passes on her great disposition to her offspring. 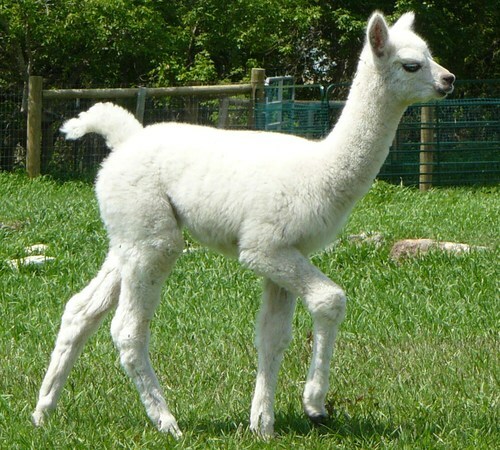 Rae-Lynn's second cria who we named Rae-Lynn's Elegance arrived on May 13, 2011; Friday the 13th! Ellie could be the poster child illustrating what you get when you choose the correct breeding for a female. We are extremely excited about Ellie, her fleece is gorgeous! Very fine with nice consistent crimp throughout and shines brightly. On top of that she has her dam's outgoing, curious personality and always runs up to greet anyone who walks in the gate. Sinking your hands into her fleece is quite a treat as she feels like silk and what makes it even better is that, like her mother, she seems to enjoy attention from people. Now that Ellie is proven she replaces Rae-Lynn in our breeding program; this allows us to offer this awesome proven dam for sale. 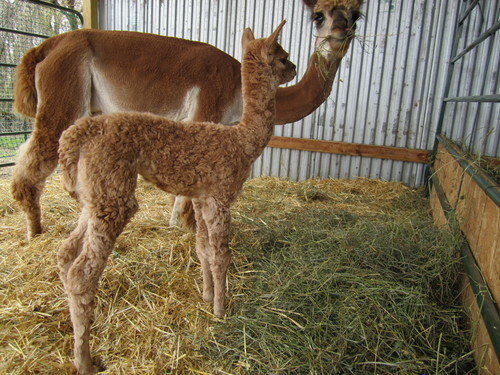 Rae-Lynn would make a great addition to any herd and when bred to the right male she will produce a lovely cria. This female delivers easily, has had very healthy/vigorous offspring and an added benefit is she seems to pass on her friendly personality. 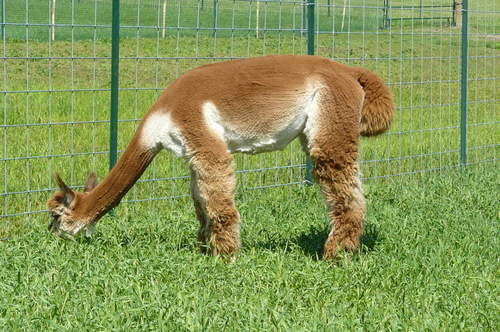 Because of her fantastic personality Rae-Lynn would be a great alpaca for someone just getting started in the business. 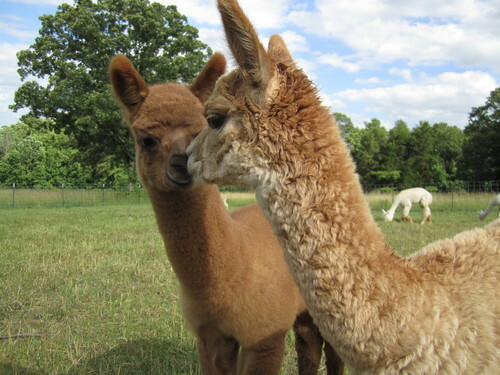 She would also be the perfect alpaca for a 4H/FFA student who wants a great animal to work with in the community.